A huge issue with all your favorites plus Boruto and Yu-Gi-Oh! ARC-V! While the demons outside are frightful, the fire in the underground bunker is so delightful. And since we've got no place safe to go, let it snow, let it snow, let it snow! Happy Fall/Winter everyone! 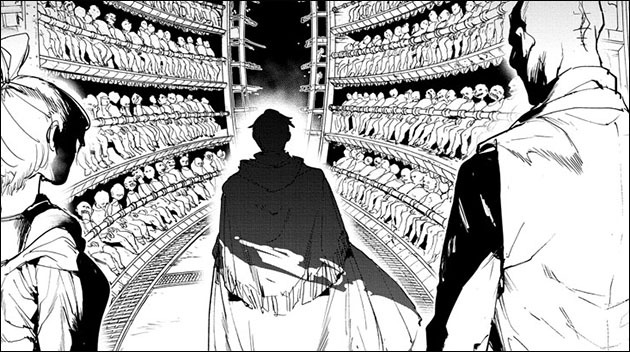 In this chapter, we get a special look at someone who's been a big part of the story but rarely seen. OWL bet you can't figure out who it is! 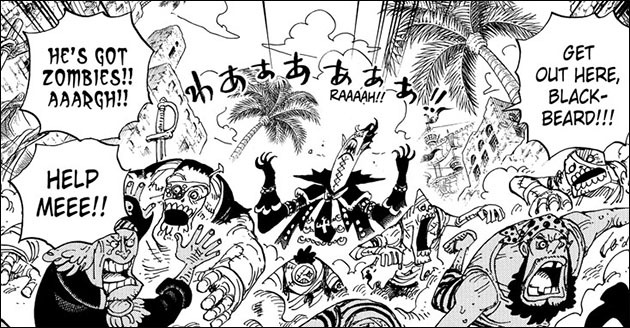 If you've been wondering, "Hey, what have Gekko Moria and Blackbeard been up to?" then this chapter will make you very happy! The conclusion of The Comiq! Find out what happened that fateful Halloween night that changed so many people's lives! 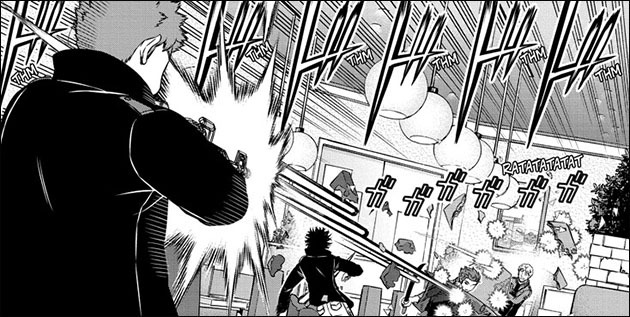 Another thrilling chapter of non-stop Rank Wars action! Who will prevail and who will fail and be knocked out of the match? Naruto and Boruto clash! 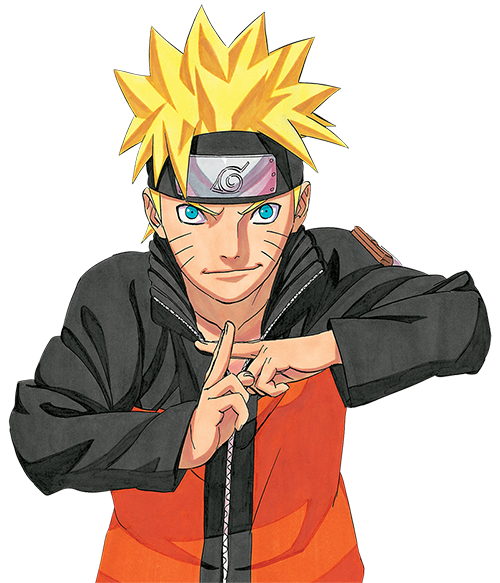 It's time to see if Boruto's gotten any stronger by going up against the best, his dad. This is father/son ninja bonding at it's finest! 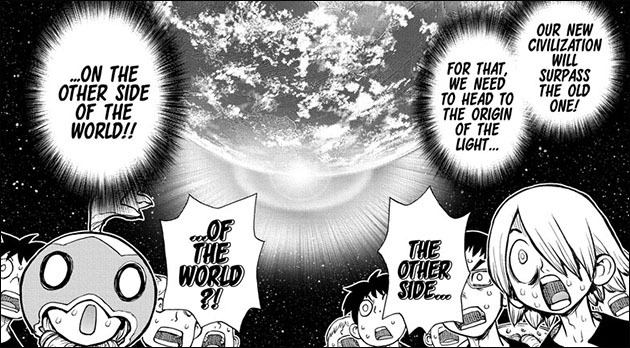 Togashi Sensei has been weaving a web of mind-boggling complexity and this chapter adds even more strands to the immense web. Readers are but flies caught in his wonderfully sticky tale! 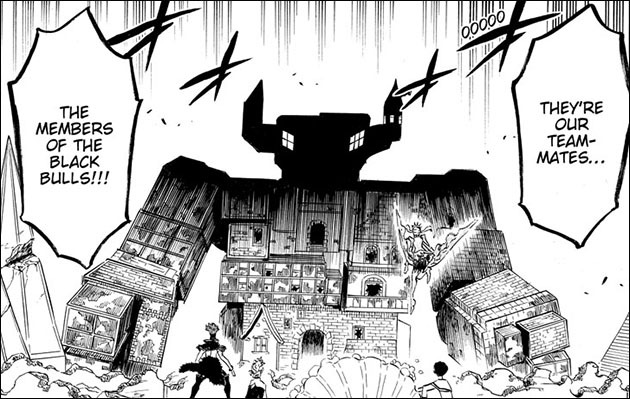 Been awhile since we've seen the Black Bull's giant "robo-castle." And in this chapter, it arrives in the nick of time. Evil elves versus Robo-Castle, here we go! 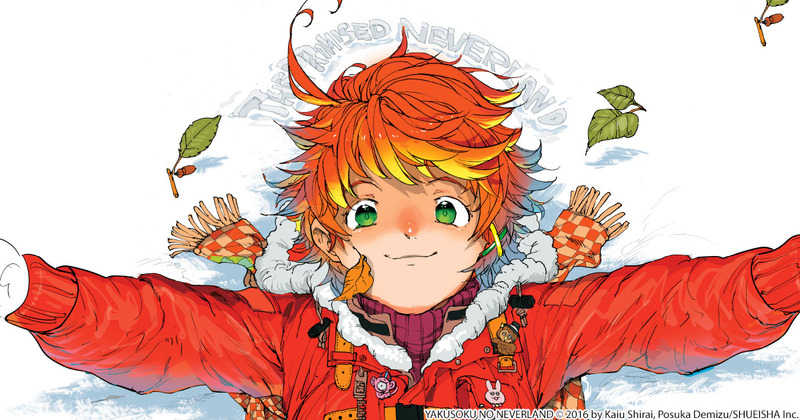 If there's one thing manga is famous for, it's characters with tragic backstories. And in this chapter, we get a look at a less-than-honest character's upbringing. Grab your tissues! Now that the battle between Senku and Tsukasa's cleared up, what's next? Naturally, Senku's got a big, bold plan for the future. Find out what it is! Class A took a beating in the last round of the joint battle session training session. 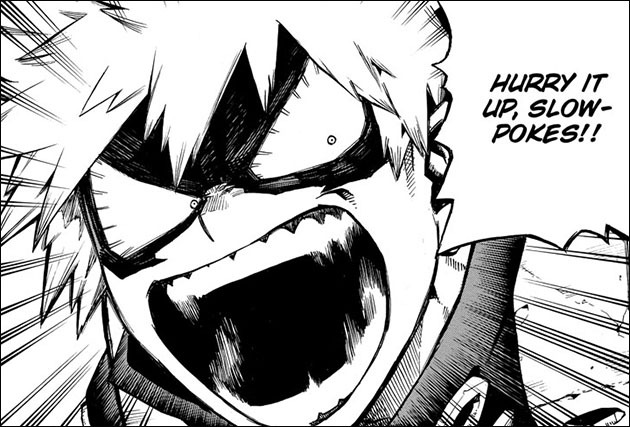 But now it's Bakugo's turn at the plate. Will his explosive personality help or hinder? Yuiga's been trying to help Fumino deal with her hardheaded mathematician father. They've got a new angle on an old problem, can they change is mind? A president that wants to be a god is always dangerous. 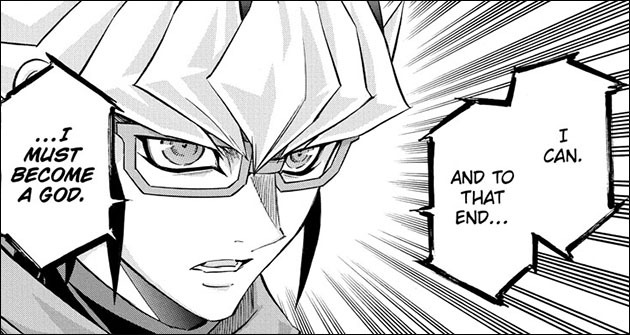 Something Yuya finds out firsthand! Can he stop this madman's plan before all is ruined? 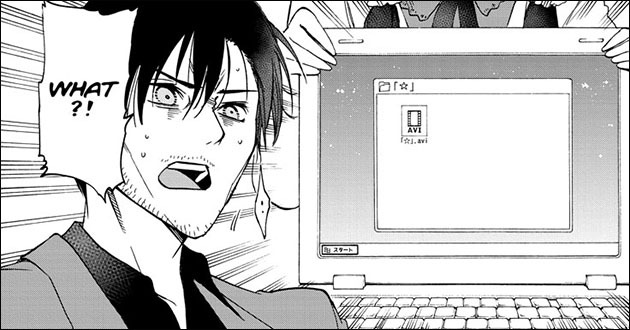 Extras: Author Comments, Nihongo Lesson. 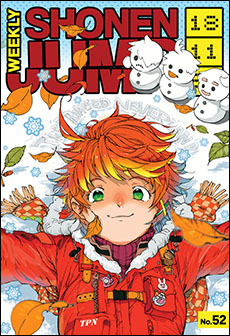 To get great manga like this every week, subscribe to Weekly Shonen Jump!